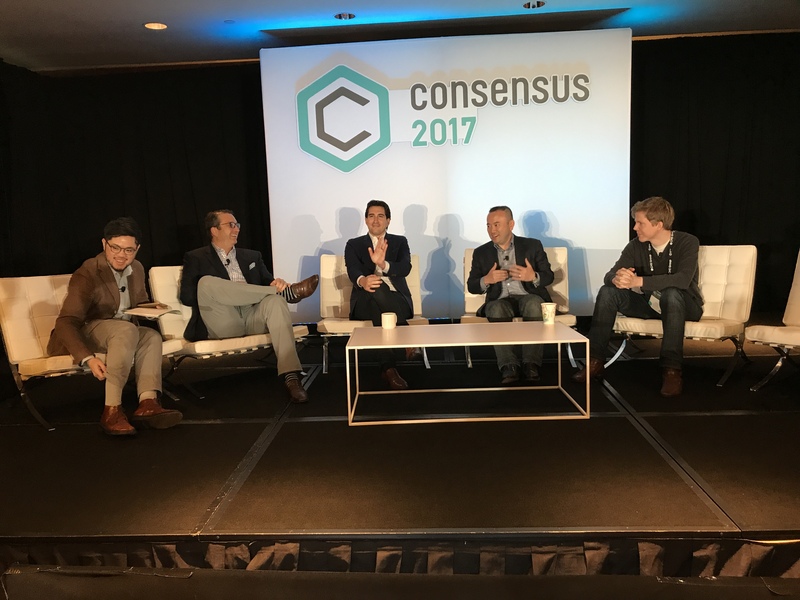 Against the backdrop of a climbing cryptocurrency market on Tuesday, two panels at CoinDesk’s Consensus 2017 conference focused on both the promise and pitfalls of working with (or investing in) digital currencies and blockchain assets. During one session, representatives from the trading, investing and legal sectors honed in what is perhaps an obvious pain point: regulation, particularly in New York. “We have a Soviet situation here,” noted Marco Santori, fintech team leader for Cooley LLP. Santori, who works with companies in the blockchain space, told the crowd that a number of his clients have pulled out of New York due to frustrations with the so-called BitLicense, a regulatory framework launched by the state in mid-2015. Michael Moro, CEO of New York-based Genesis Global Trading, described the frustration his firm has experienced in trying to add a new token to trade. “We asked for permission to trade in September, and here I am still nine months later, still waiting,” he said. Santori pointed out that everything was easier when there was just bitcoin. Now, with so many cryptocurrencies entering the market, the environment has become that much more difficult. On that note, Santori went on to point out that consumer protections just are not there yet. “Frankly, the policy goal of promoting these innovative spaces far outstrips the consumer protection goal in the token space,” he said, drawing a round of applause from the audience. But those regulatory burdens could ultimately drive out more companies, the panelists later noted, including Brian Kelly, CNBC contributor and founder of hedge fund BKCM. “I will say that the US is rapidly losing its global financial hub status because of this,” he argued. During Tuesday’s second digital currency-focused panel, five cryptocurrency blockchain reps gathered to discuss the industry – and the current euphoria in the space. “The whole space is enjoying the moment,” offered Miguel Vias, head of XRP markets for Ripple. But others on the panel see today’s environment as more ominous. “There is a large amount of irrational exuberance,” warned Riccardo Spagni, project lead at Monero, pointing out that traders do not have the technical knowledge to understand what they are trading. Instead, they’re far more interested in whether they make money, he argued. Others concurred on that last point, including Julian Zawistowski, CEO and founder of Golem. “Sooner or later, the market will clear,” he said. Correction: A quote in this piece was originally misattributed to Riccardo Spagni. This has been changed.